Scandium is not mined in the US currently, but the Department of Defense has been asked to create a briefing that examines its potential. One scandium-focused firm in the US is pleased with new legislation that directs the government to investigate potential uses for the metal. The Senate Armed Services Committee (SASC) legislation requests that the US Department of Defense create a briefing that examines possible defense and industrial uses for scandium by December 1, 2017. NioCorp plans to produce 103 tonnes of scandium product every year, and is the only prospective US scandium producer. Scandium is primarily mined as a by-product in China, Russia, Ukraine and Kazakhstan, although several new Australian scandium projects could be game changers. 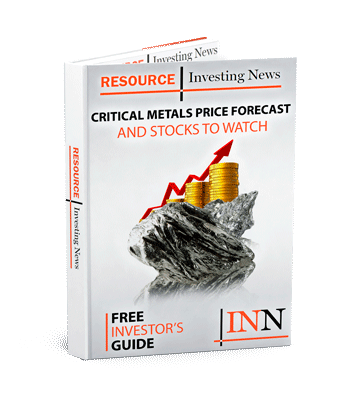 On June 30, NioCorp announced positive results from a feasibility study for its Elk Creek superalloy materials project in Nebraska. The company plans to start producing in 2020 and already has commitments for 75 percent of the ferroniobium that the project will put out in its first 10 years of operation; 50 percent will go to ThyssenKrupp Metallurgical Products and 25 percent will go to CMC Cometals. NioCorp said if enacted into law, the language could result in the Department of Defense entering into offtake agreements with pre-production companies. Scandium has been called the “metal of the future” because it is used in weapons guidance systems and “space age technologies.” An aluminum-scandium alloy has been used in Russian MIG fighter planes, high-end bicycle frames and baseball bats.